- Allow 2-3 weeks of hair growth before your appointment. The longer the hair, the more effective and faster your hair removal will be and the less tweezing will be needed. For best results, your hair should be at least 3/8" to 1/2" or longer. 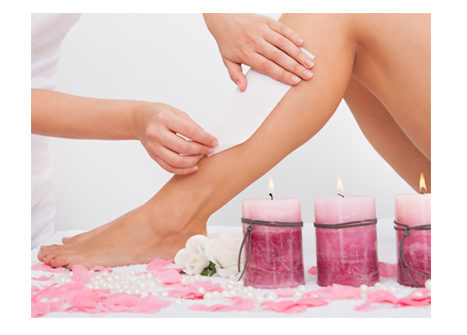 - Certain things can cause your skin to be more sensitive during waxing. Two of these are caffeine and alcohol. Caffeine and alcohol both stimulate the nervous system and cause tightening of pores which can lead to discomfort. For best results, avoid alcohol and caffeine for 24 hours before your visit. - Other things to avoid on the day of your appointment: heavy moisturizers, body butters, lotions or oils (these can interfere with the ability of the wax to adhere to your skin and and hair) as well as self tanning products, abrasive body scrubs, sun exposure or tanning beds (these can cause your skin to be more tender). - Your skin will need to be clean before your appointment and we also recommend gentlly exfoliating your skin to remove dead skin cells and debris. However, try to avoid working out, taking a shower or bathing immediately before your visit. Hot showers can cause your skin to be more sensitive, and sitting in a hot tub or soaking your hair will soften it, causing it to break more easily and making waxing less effective. - Wear comfortable, loose cotton or other “breathable” clothing (no nylon) on the day of your appointment if you are receiving a back, leg, full body, bikini or Brazilian wax. - We want to make sure that your visit is completely comfortable and relaxing. Feel free to take Ibuprofen or Advil about 30 – 45 minutes before your appointment to help alleviate any pain or discomfort, and let us know if you have any questions. Then relax! You are in great hands with our highly trained specialists!